Many English students have trouble knowing when to use the prepositions "OF", "FROM" and "BY"
For example : "The people of Europe" vs "the people from Europe". Both are possible, but their meaning is different. 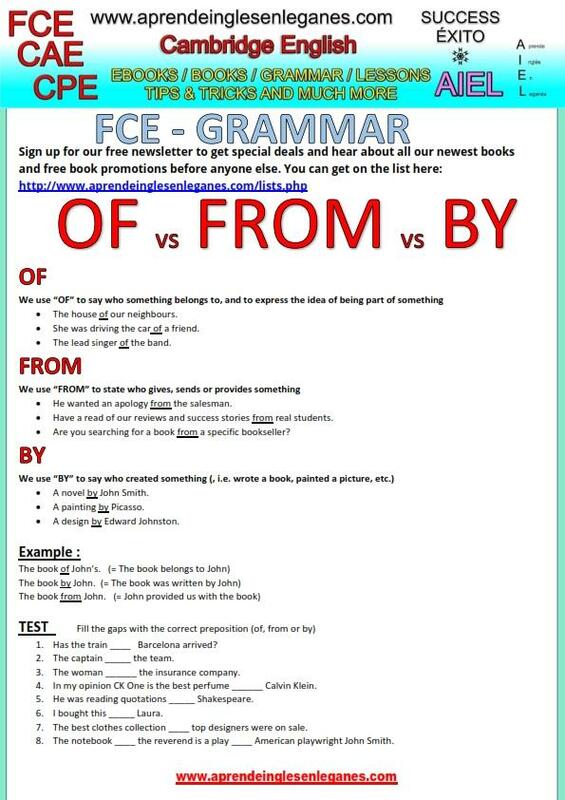 Have a look at the grammar sheet below to learn when to use each one of these three prepositions.